The key trait required for successfully and profitably trading in equity, is to understand the market sentiments. An optimal mix of risk and return is a mandate to ensure sustainable profits gained from investing in equities. 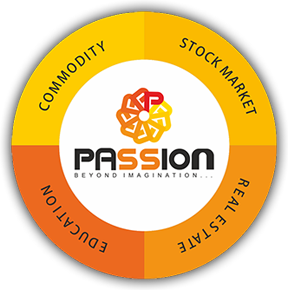 The Passion Stock Broking Pvt. Ltd being a fully owned subsidiary of the Passion Group is entrusted with this responsibility to gauge the market opportunities and to tap on to them. We at Passion understand and acknowledge the market uncertainty associated with equity trading and consult our customers accordingly. 1) Advisory & Consultation– All customers are not alike in terms of their investing appetite and wealth creation patterns. We understand and abide by the difference in opinion of our customers and tailor our services accordingly. There are customers who are potent investors and are keen to obtain the market dynamics for efficient execution of trade. Apart from them, there are also customers who are not well versed with the game of trading, and hence seek for expert advice and opinion from expert brokers and researchers. 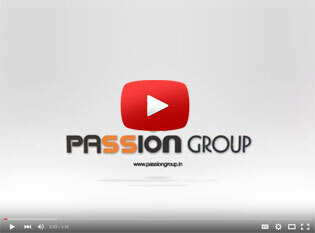 To cater to all the customers’ desires, the Passion Group has instated a research wing where in experienced veterans of trading performs several high profile market studies so as to pre-empt its behaviour and trade accordingly. •	Continuous monitoring of the stocks or portfolios by the Risk Management Cell so that the customers could be informed about the progress of his funds. •	Regular update calls held on a daily, weekly and monthly basis. Extensive research reports are published on regular interval of time to educate customers about the prospect market opportunities and banes. •	High-tech and extremely sophisticated analytical tools and methodologies employed to estimate the market sensitivity. •	Highly qualified, internationally certified and experienced panellists. 4) Customer Support– – The Group has a robust and an exhaustive customer support department to cater to the personalized needs of each and every customer. The entire support group is segregated based on departments so as to ensure high quality and prompt services at the need of the customer. The support team consists of technically adept, proficient and experienced professionals who understands the nitty gritty of the market. 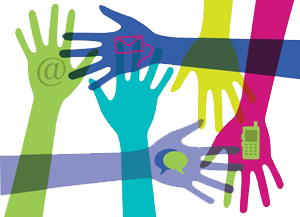 Customers can contact the support services via telephone, mobile sms, and live chat as well via remote connectivity. The help line number is active from 8 AM in the morning till midnight. The Group has also incorporated a grievance cell where in customers can lodge their complaints and dissatisfactions. This cell is being monitored by the top management who would prioritize each and every aspect of the problems and track them to closure.